Expert Piano Moving is your local Albuquerque piano movers with over 20 years experience. 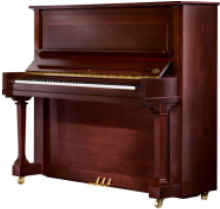 Whether you have an old, antique upright passed down through generations or the latest, greatest digital grand, if it needs to be moved we are here as your most trusted company. What Kind of Piano? We Move Them All! As the professional movers of thousands of pianos through the years, we are experienced with the safe moving and transport of every possible type of piano in any kind of moving situation, and challenge. Up and down difficult stairways, in and out of tall buildings, up from basements, storage units and more. If called for, we are experience and capable of moving pianos in and out of their locations with a crane. And no matter what type - whether it's a Fazioli, Steinway & Sons, Bösendorfer, Yamaha, Kawai, Pramberger, acoustic or digital - we have moved them all will always take the greatest care and interest in your possession.